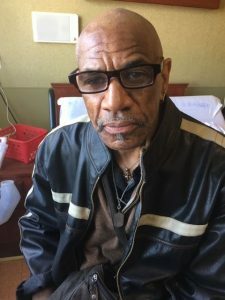 Following hospitalization at Newark Beth Israel Hospital, Mr. Morse was admitted to Sinai Post-Acute Nursing & Rehabilitation Center for Orthopedic care after a fracture of his left femur. Upon his arrival to Sinai Center he had hip pain, difficulty walking, along with muscle weakness and loss of strength. Mr. Morse was assigned to rehab therapy where our therapists worked with him and helped improve his muscle tone, along with his blood flow and circulation, our team of therapists were able to help him improve his strength, muscle mass and ability to ambulate. Mr. Morse states he was bed bound prior to being helped by Sinai’s rebab department. Mr. Morse feels his rehabilitation goals were met and he has regained his strength and his walking ability has improved. Mr. Morse was discharged back to the community after less than 30 days of Rehab. He looks forward to returning home to relax and playing pool. He would especially like to thank all his caregivers, especially everyone in Rehab. Click on here to read more success stories!